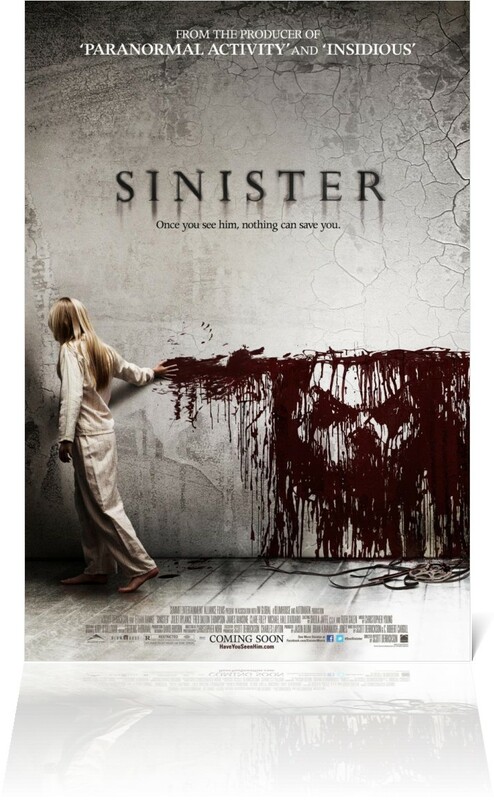 Sinister directed by Scott Derrickson and starring Ethan Hawke and Juliet Rylance follows the life of writer Ellison Oswalt as he makes an attempt to write his next best-selling novel. As he struggles to get back on his feet, he begins his writing journey with moving into a new home that has a horrid past. Keeping that past a secret from his wife and children, Ellison is best known for writing books centered around real murderers and murder victims. As the family deals with preexisting strain it does not take long for Ellison to realize that it was a mistake to move his family into the house. Usually before I see a movie, I have some kind of background knowledge about it. In this case I knew nothing about the film or what to expect from it. Derrickson did a great job with the team of writers, production crew and visual effects artists to create a horror film that was meant to live up to the goal of scaring you. Overall the movie was well done. The script was written well and the character development was realistic in its delivery and was presented in a way that was believable. Ethan Hawke is not normally seen in this type of film,, so it was a pleasure to see him take on a character like Ellison. The score and sound were two other elements that added to the fear and made the movie more intense. The score was an extension of telling the story and created a more balanced component to the film.